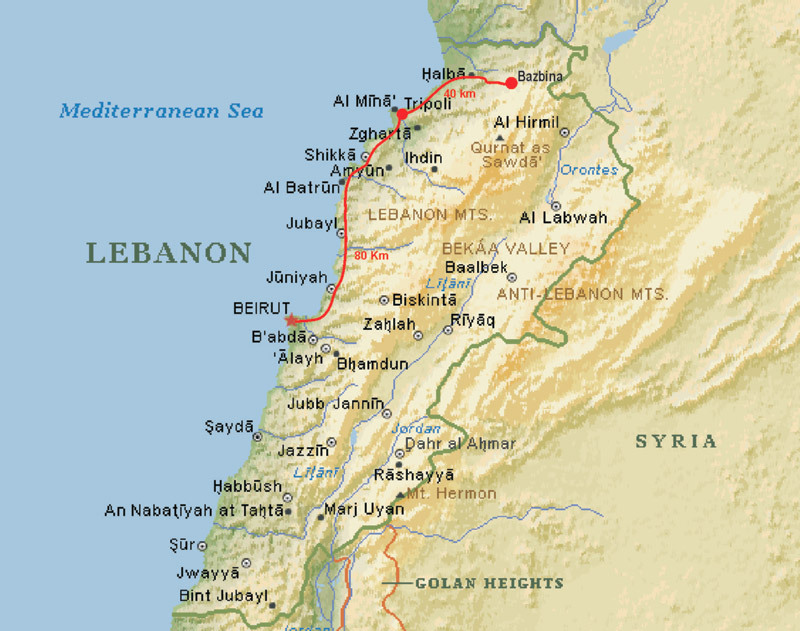 This site of Bazbina, North Lebanon, is mainly to serve our residents and immigrants who are scattered all over the World as an "Online Community". This new design that you see, is the third version of the site launched in June 2003. It was prepared to the request of many of our people demanding a quicker way of interacting with each other. Therefore, we created a dynamic "Directory" that we ask all of you to freely register in it, write something about you and add your pictures. 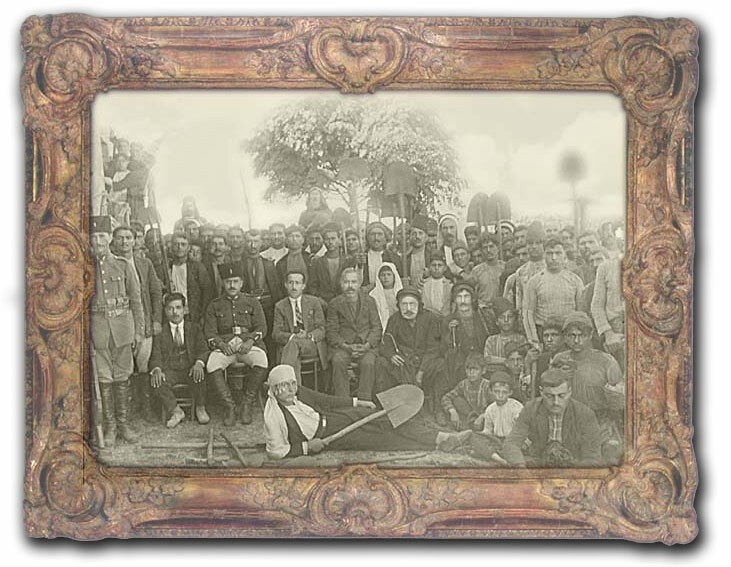 The Bitar Family of Bazbina, Akkar. This year the village had a great look during the Adha and Christmas celebrations. Thanks to the enthusiastic girls and boys of the village. The Mosque was covered by lights that gave the Nebeh Square a charming look. And a Christmas tree was erected at St. Doumit church, the old church of Bazbina dated to the seventeenth century. Mr. Ziad Saneh, the principal of the Technical College of Joumeh in Tikrit, wrote a report on Bazbina and was posted at http://www.hiwarat-hurra.com/node/328 on April 10, 2013. Pictures were provided by Mr. Saad Moussa and by Ziad himself. Please open the link. Ceremony to Honor Mr. Issam Fares at the Orthodox Seat at Cheikh Taba, Akkar. A poem from Adib Nassar remembering the good life he spent in Bazbina. Nayfeh Auguste Nassar – Bazbina August 2005 Poet and Artist. Nayfeh, daughter to Dr. Auguste Youssef Nassar and Huda Khalil Nassim, is a promising poet and artist. She is still at the university in the school of art. Two samples of her paintings are displayed here as well as two poems written by her in Arabic. She also writes poems in French. و متى خرجنا منه كي نعود اليه و الى الهمجيه؟! Immigrants recall homeland in old Syria at Arnold fete. Under The Zinzlakhti Tree at Abou Alif Place - By Hassan Bitar. BAZBINA SOCIETY CLUB – 1918 New Kensington, Pennsylvania, U.S.A.